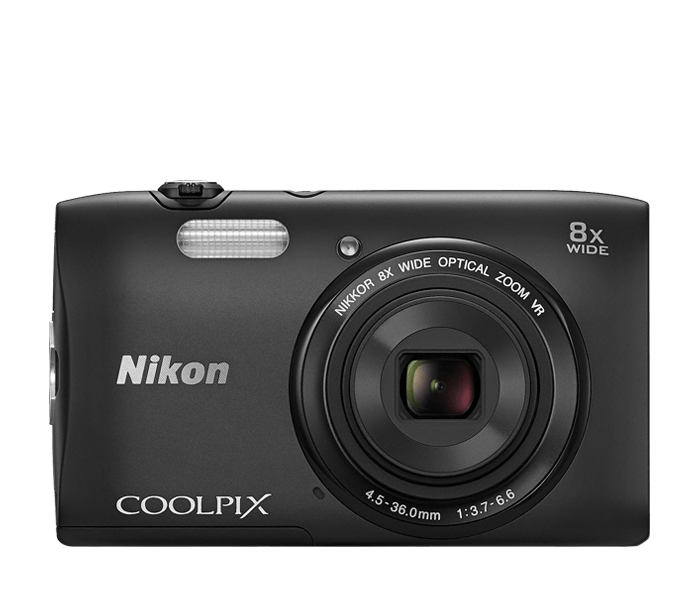 The shots we want don't always happen right in front of us; they're often out on the sports field, up on the stage, across the room or just too far away for many smartphone cameras—but not too far away for the stylish COOLPIX S3600. Its NIKKOR glass zoom lens makes it easy to catch those shots. Zoom in with the power of 8x optical zoom and16x Dynamic Fine Zoom for detailed close-ups from the sidelines. Add convenient features like Scene Modes for difficult shooting situations, Smart Portrait System for flattering no-fuss portraits, Target Finding Autofocus for keeping focus where you want it, fun Image Effects and so much more, and you've got a camera you can count on in nearly any situation.